Traditional indian jewellery for side heads with both side hooks attach on your hairs. More details: Passa is traditional indian jewellery since mugal empire. Passa is hindi or urdu word used for one side. so this jewellery got many names. Passa maang tikka, half maang tikka, side tikka , head jumar. all means the tikka worn on side. 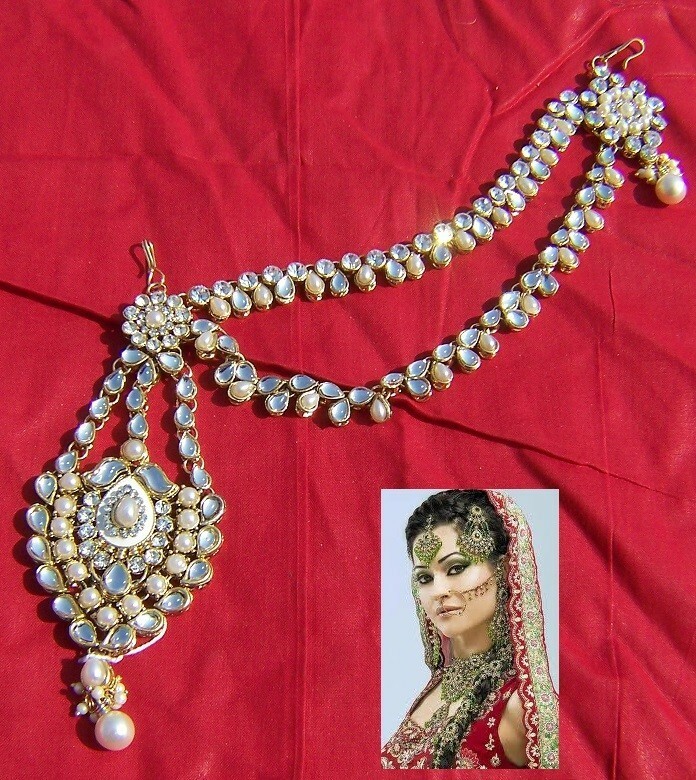 its unique jewellery which give brides and dancers mugal or bollywood look.